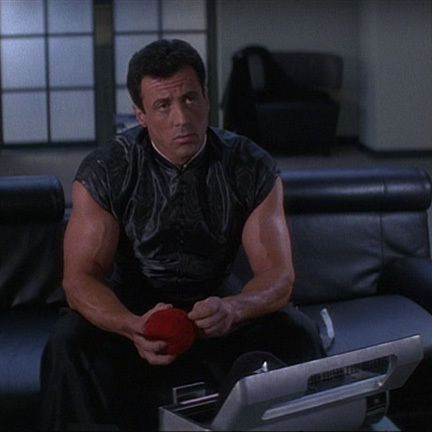 This ball of red yarn was used by the character “John Spartan” portrayed by actor Sylvester Stallone in the film “Demolition Man” starring Sandra Bullock, Denis Leary, and Wesley Snipes. 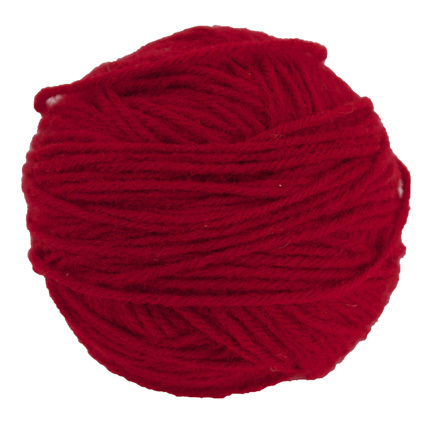 This is the exact ball of yarn used during the sequence where Spartan watches the video monitor in his house and knits after being “conditioned” to take up the hobby while in cryogenic suspension. 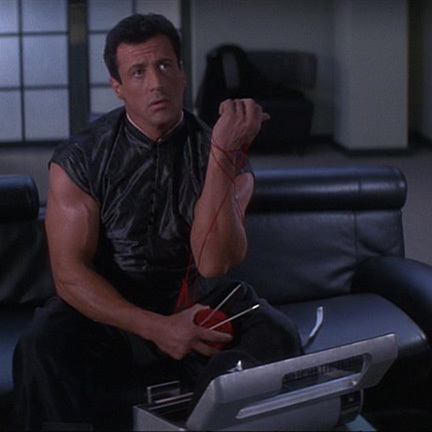 As he knits and watches the monitor, Spartan learns information about who’s behind the recent rampage of fellow cryo-prisoner “Simon Phoenix” (played by Snipes). 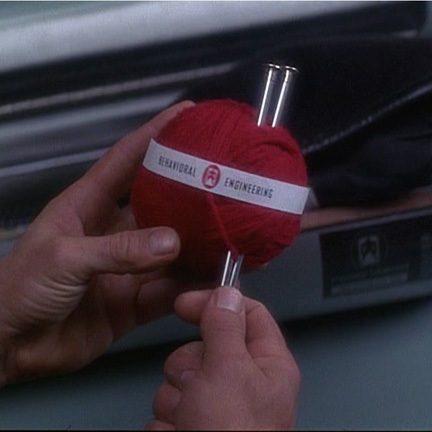 In the following scene the next morning, Spartan presents Lenina Huxley (Sandra Bullock) with a red sweater, presumably knitted from this ball of yarn. 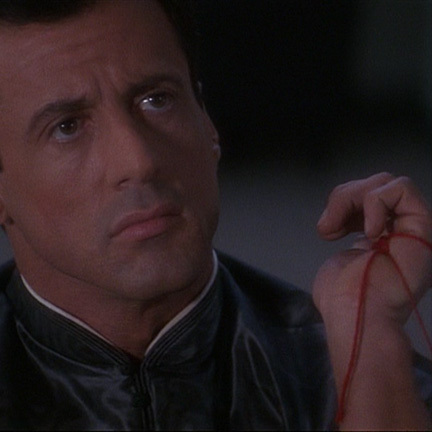 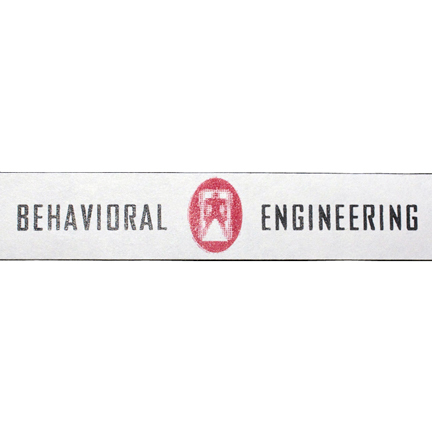 The ball of yarn is in good screen used condition and is accompanied by an original prototype “Behavioral Engineering” paper band exactly identical to the screen used version seen in an earlier scene when Spartan first opens his “Prisoner Effects” storage case and finds his yarn and needles inside. 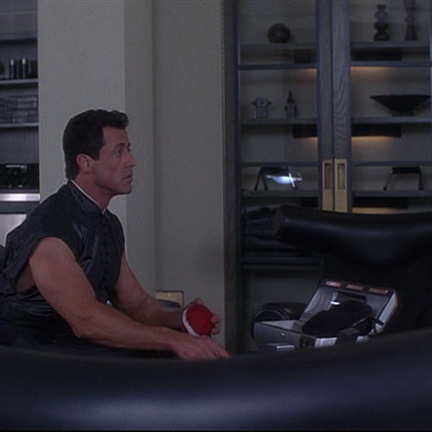 Accompanied by a letter of authenticity from the film's property master.